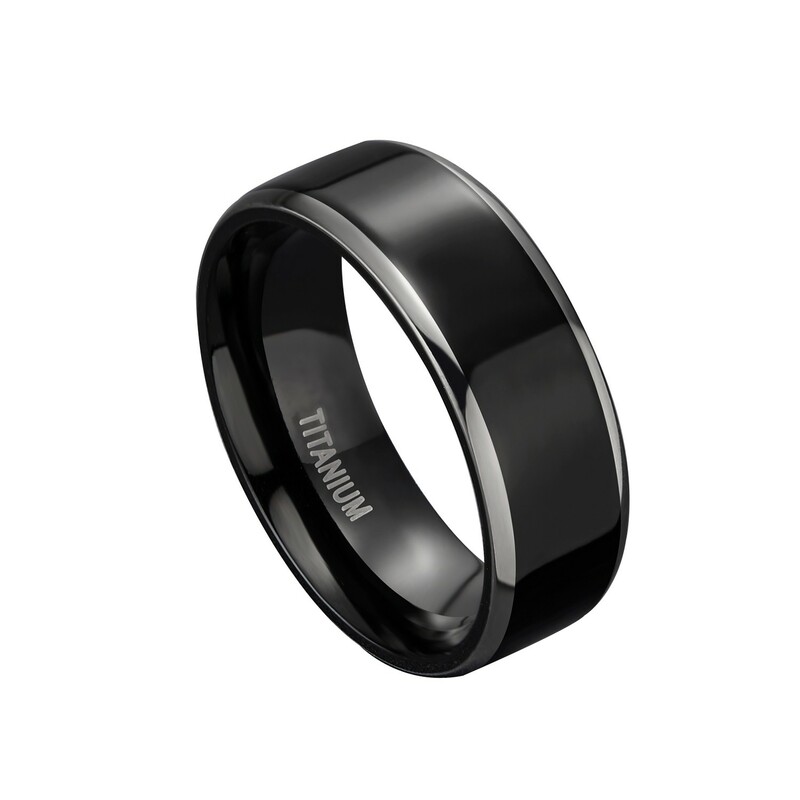 This man/women black flat two silver titanium wedding rings made of black high-polished titanium. 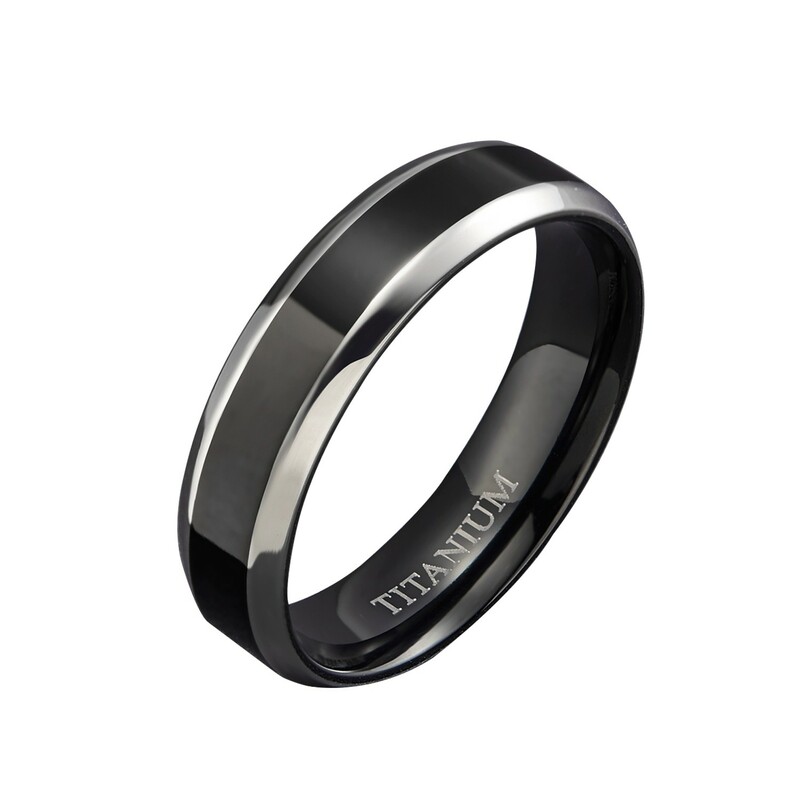 There are two silver step edges, with a width of 6mm and 8mm, comfort fit and a fashionable design for dialy wear or special occasion. 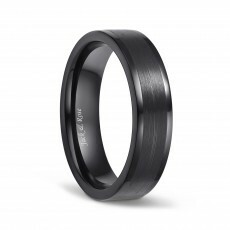 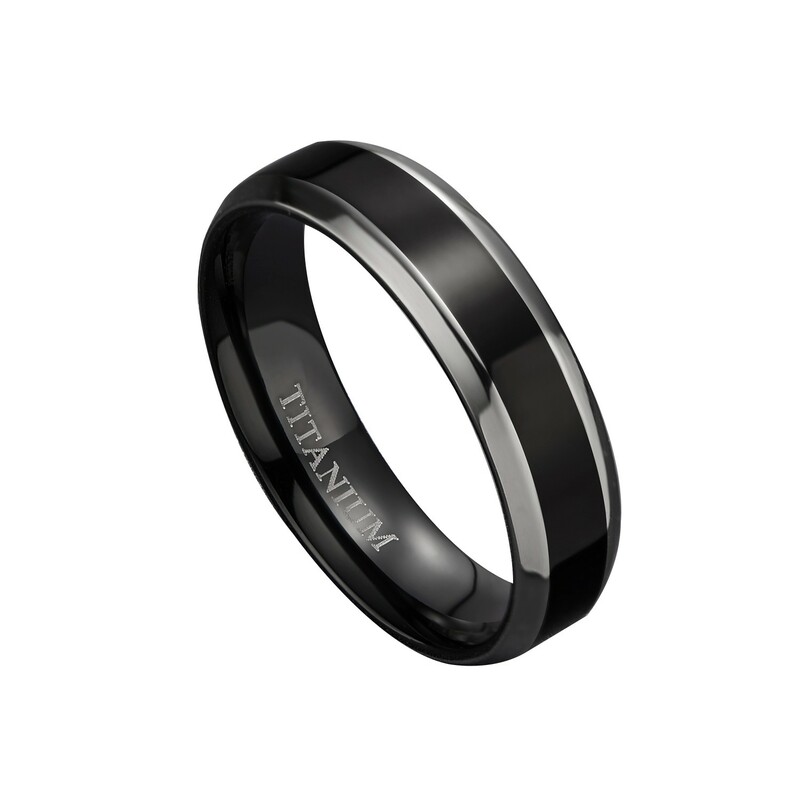 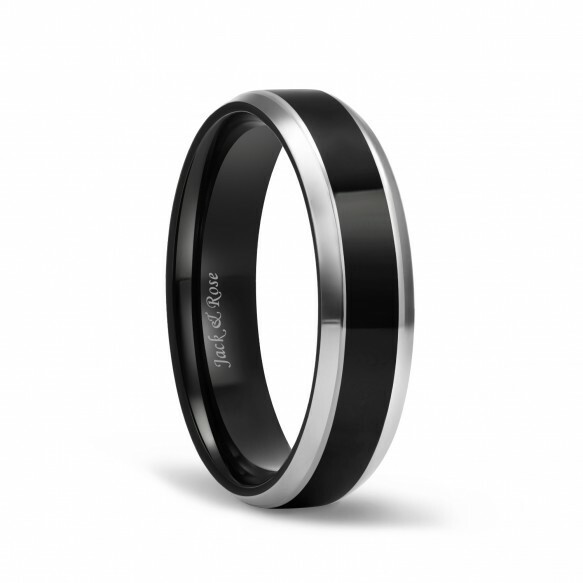 Classic black will never be outdated, this is the best titanium ring to embody your masculinity. 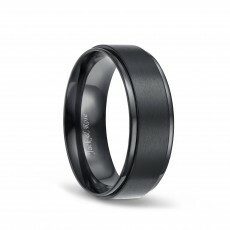 The ring was just as pictured. 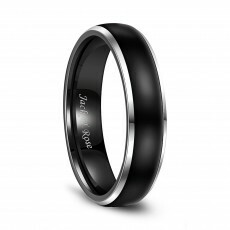 Looks beautiful, and my husband loved it. 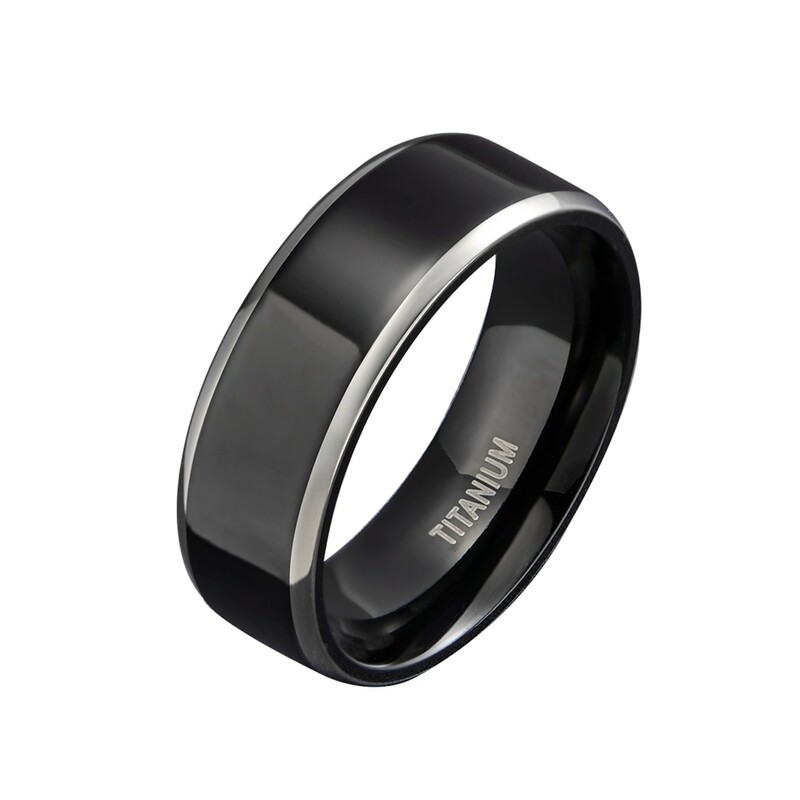 I bought this ring for my husband... 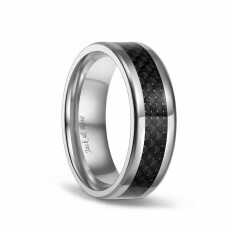 I wasn't expecting anything fancy but this is very nice! 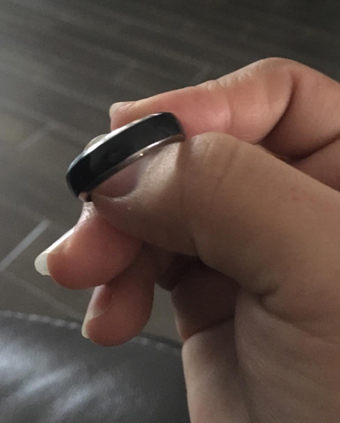 Bought this for my mother and so far she loves it. 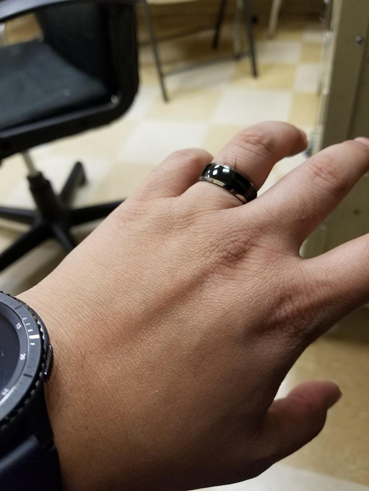 It's simple and cute for her.